Eugene is a big college town, so you expect to find plenty of pizza places. But do you expect to find gourmet pizza? You do if you visit Mezza Luna Pizzeria. 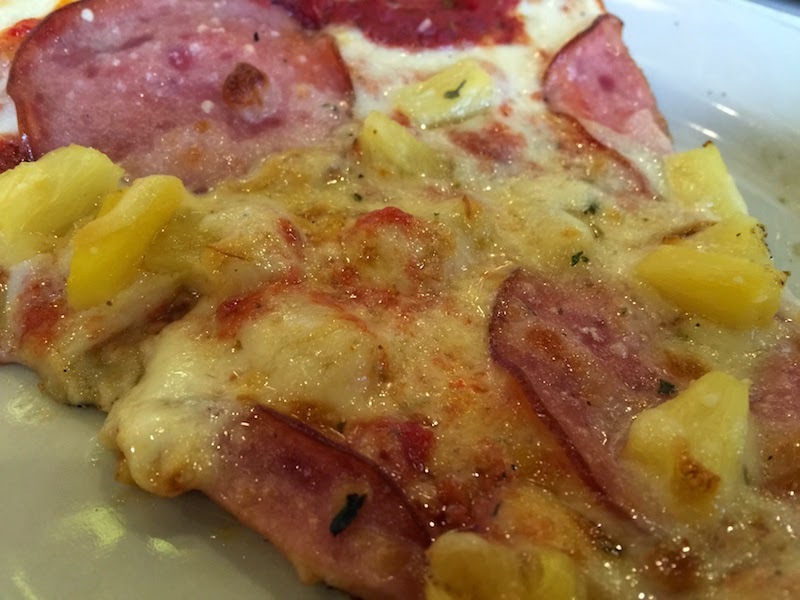 Read my full review with pictures of Mezza Luna Pizzeria in Eugene, Oregon after the break. Mezza Luna Pizzeria is located in downtown Eugene, Oregon. They serve pizza by the slice. They day we were there we found five or six types of pizza. 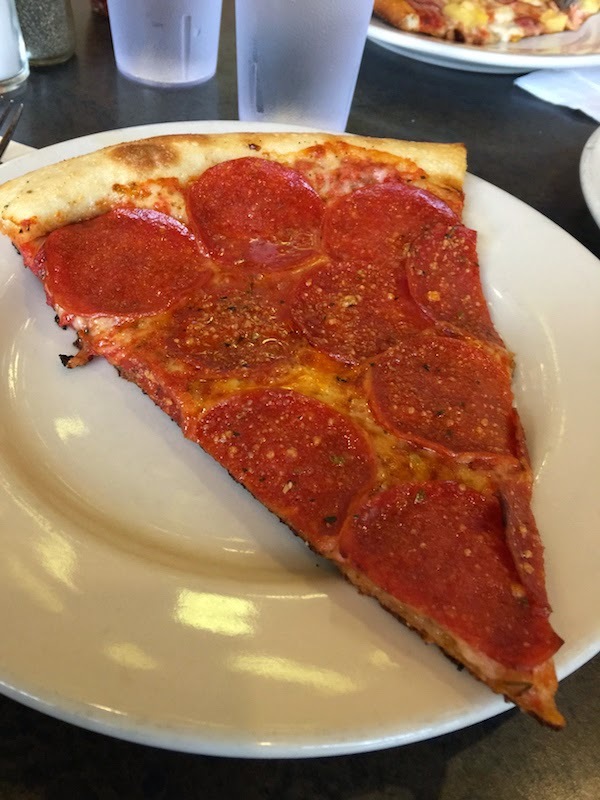 The slices are very large, and are warmed up in the oven after you order, and brought to your table. The quality of the ingredients and flavors makes these gourmet pizza slices. The prices are reasonable, too. 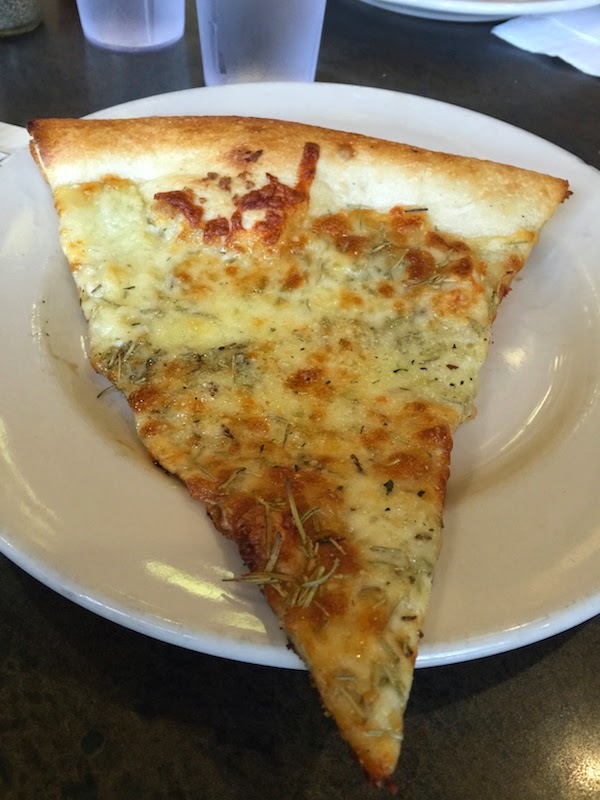 The pizza slices are very large with high-quality ingredients. Mezza Luna combines a variety of gourmet pizzas with the choice of trying several different slices during your visit. Even the pizza dough is delicious. The crusts are warm, soft, and puffy like freshly-baked French bread. You can hardly see the cheese under all the slices of pepperoni. 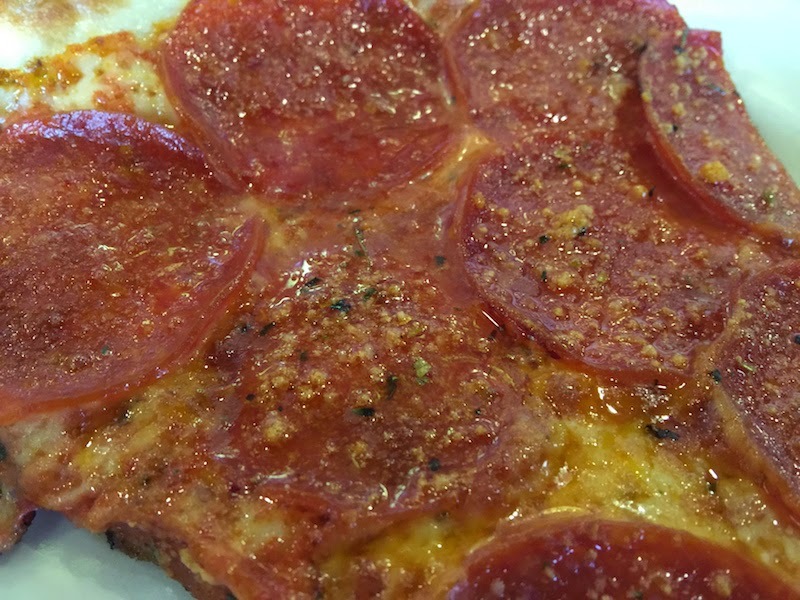 And the pepperoni actually has some "pepper" in it -- a nice change from typical pepperoni pizzas which usually lack any spiciness. Cheese, cheese, and more cheese. And garlic. 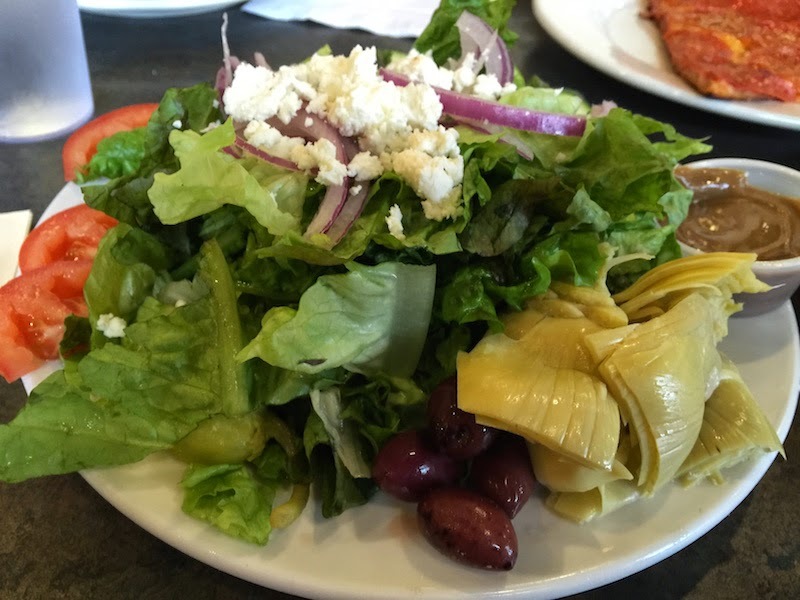 Of course the salads are awesome -- this is Oregon. I've never had a salad in Oregon that didn't taste like it came right out of the garden. But the salads are also HUGE -- these are just the medium salads! 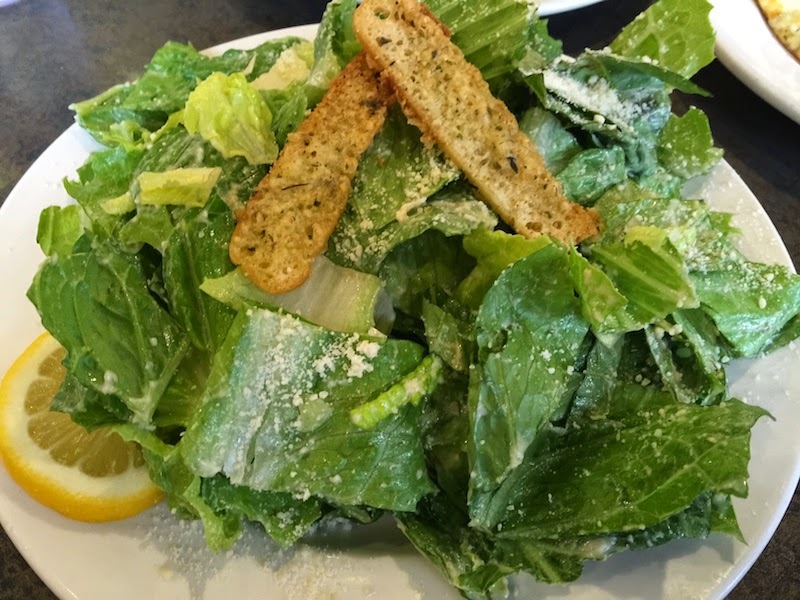 The large salad is piled even higher. 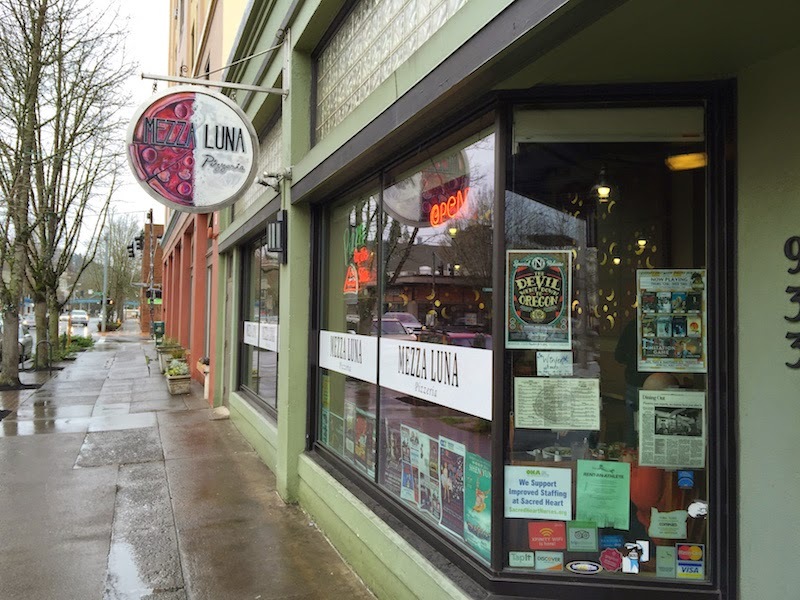 Friendly service seems to be the norm in Eugene, and Mezza Luna is no exception. In fact, I tried to order the "Hot Mama" pizza when the server reminded me it was full of habanero chiles (I had not bothered to read the description). So I dodged a food disaster and ordered the Great White instead.